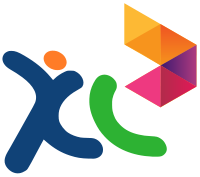 PT XL Axiata Tbk - XL Axiata, Doing business as XL (formerly PT Excelcomindo Pratama Tbk), is an Indonesia-based mobile telecommunications services operator. The operator's coverage includes Java, Bali, and Lombok as well as the principal cities in and around Sumatra, Kalimantan and Sulawesi. XL offers data communication, broadband Internet, mobile communication and 3G services over GSM 900 and GSM 1800 networks. Respond all analyst’s and investors’ queries by email or in meeting or conference call to clarify information regarding to latest telecom regulation, competition, company’s performance, etc. If you feel that you are the person we're looking for, send your application online, please refer official source from jobstreet on following link below. Advertised: 13-02-13.